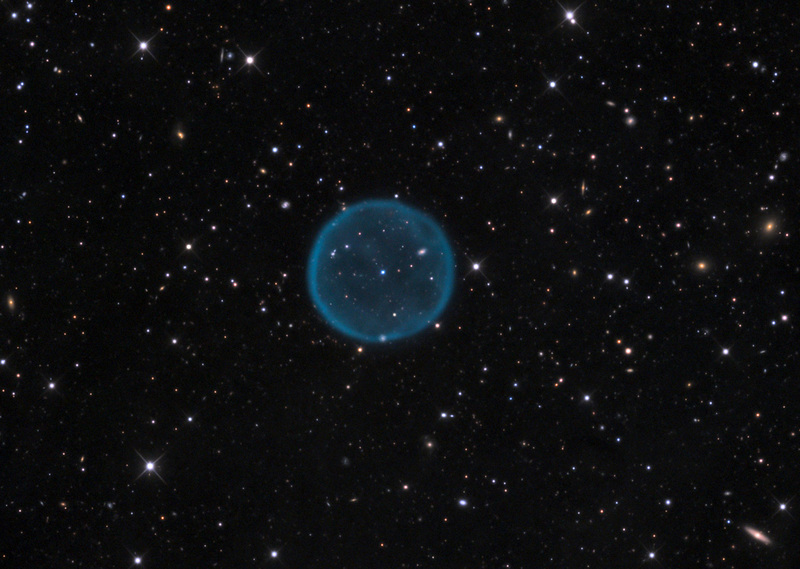 Today NASA's Astronomy Picture of the Day published a recent SkyCenter image of Abell 39. This nebula formed by a dying star is a quintessential example of a nearly perfect bubble of gas. The symmetry shows some interesting effects including the bright limb (due to the greater amount of gas that appears in the line of sight) and the transparent shell through which the background universe can be seen. Click on the image to the right to see the gallery page for this object.